Toots is one of the true architects of reggae, so much so that “Do the Reggay,” a 1968 single by Toots and his group, the Maytals, is credited with giving the genre its name. Classic songs, written and recorded by Toots and the Maytals, have been covered by the likes of the Clash and the Specials, and the group was featured in reggae’s greatest breakthrough event “The Harder They Come,” the 1972 film that became an international sensation. A five time Grammy nominee, Toots and The Maytals won the 2005 Grammy Award for Best Reggae album with "True Love". The all-star guests on the 2004 album range from legends like Keith Richards, Eric Clapton, and Bonnie Raitt to younger stars including No Doubt, the Roots, and Phish’s Trey Anastasio. The caliber of these collaborators reveals the impact that Toots has had on several generations of rockers and rappers, while appearances from reggae icons Bunny Wailer and Marcia Griffiths show the respect granted to the man who might be the music’s greatest living vocalist. At the heart of it all is that voice drenched in soul, rooted in gospel, and still breathtakingly powerful after almost four decades in the spotlight. 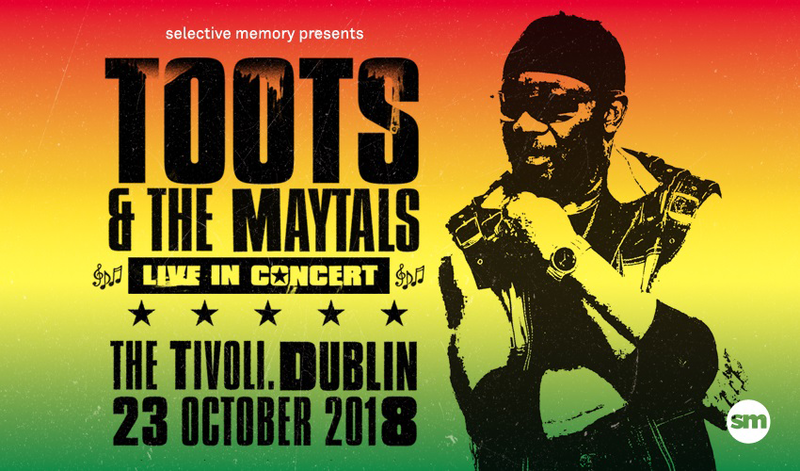 Don't miss Toots and the Maytals live at The Tivoli this October.